It was good to hear Evie’s voice again. They’d divorced not because they lost their love for each other, but because of the stresses of his career. Even if he’d have quit MI6, his history with the agency was such that he’d always attract the “interest” of certain parties. He’d never be completely safe, and as long as he lived with his family, they’d never be safe either. “Here. Let me put you on speaker.” Then in the background Ian heard her say, “It’s Daddy calling.” He could hear Marcie and Roger squeal. “Daddy, Daddy, how are you? When are you coming to visit?” Little Roger was all of five and always full of enthusiasm. He didn’t recall a time when Ian actually lived at home or the family living in London at all. “Daddy, thank you for the birthday present. The nail style kit was just what I wanted.” She turned twelve just a few weeks back and Ian had the good sense to ask his ex what his little girl wanted for a gift. Like any little brother, he always wanted to be doing what his sixteen-year-old brother was doing. Andy and Marcus were Phillip’s two best mates and they were good lads to let a five-year-old hang out with them. Ian listened to Marcie’s experiences in class and his little boy’s latest adventures. Young Ian Bernham had been right the other day. He missed his children and couldn’t tolerate the idea of them losing a parent the way the eleven-year-old had. He couldn’t talk long, half an hour at most, but he needed this and he knew they did, too. “You always say that, Daddy,” Marcie complained. “Yeah, you always say that,” Roger echoed. “I will, Ian. We love you, too.” She was trying to sound cheerful, but he could tell she missed him terribly, as well. “Bye all.” He broke the connection and sighed. The assassination of the North Korean Chairman’s half-brother, a chemical weapon’s dealer and his mistress, the gravestone of a mystery writer, and one of his books found in Krista Bernham’s flat among a collection of other spy novels. What the hell was she trying to tell him? He was only twenty-four years old and recruited by MI6 right out of Uni. He rather fancied the idea of being a spy, but aside from his intelligence, athletic prowess, and talent for cyphers, he was selected as a field agent because he blended in, at least with a certain demographic. In the past two years, he had infiltrated three separate terrorist cells and prevented at least one major bombing planned for an underground station near Parliament. If the news media knew about him and about others like him, they would have accused SIS of “profiling” and “racism.” Bloody hell, Sadiq Khan, London’s mayor who had been briefed on such operations in his city, but always after the fact, said just such a thing. You’d think he’d be grateful that these operations saved hundreds if not thousands of lives. His current assignment was different. Sure, he was sent here because he would attract no attention in Morocco. He spoke Arabic fluently and knew all the local customs. However, this time he was looking for someone unusual, a chemical weapons dealer named Fredric Sandoval Lee. Talk about someone who didn’t blend in here in Marrakech. His mistress did, though. Anisah Yasin was a native of this city and Lee, a national of Spain of mixed Korean-Spanish parentage, could be found here when he wasn’t plying his bloody trade. All he was told was that Lee had something to do with the death of an analyst in Mauritius and senior agent Ian Dennis had requested his recent activities be investigated. Dennis had been a sort of “guest instructor” in a few of Rabah’s training courses. Seemed a likable if plain-looking sort of fellow, the kind who might be a regular at your favorite pub, perhaps an accountant or sales manager, certainly not a covert agent. But then again, that’s what they told him when he was recruited. No one is supposed to look like bloody James Bond or Jason Bourne. Agents are supposed to be invisible, not worth the notice, a shadow in the background. That’s what he was being now. He was standing in a shadow in a small alleyway. 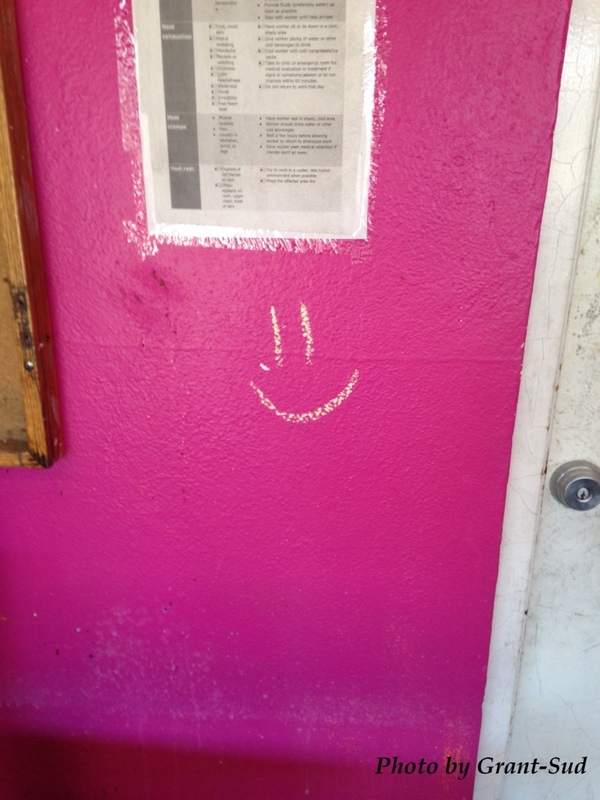 The wall to his right painted a garish fuchsia. Someone had drawn a smiley face on the wall in chalk, probably a kid. In October, the notice about heat exhaustion, heat stroke, and such seemed ludicrous but not many weeks before, it could have saved someone’s life. It was after eleven and it was quiet. Only a few tourists left wandering around. His contact was late. 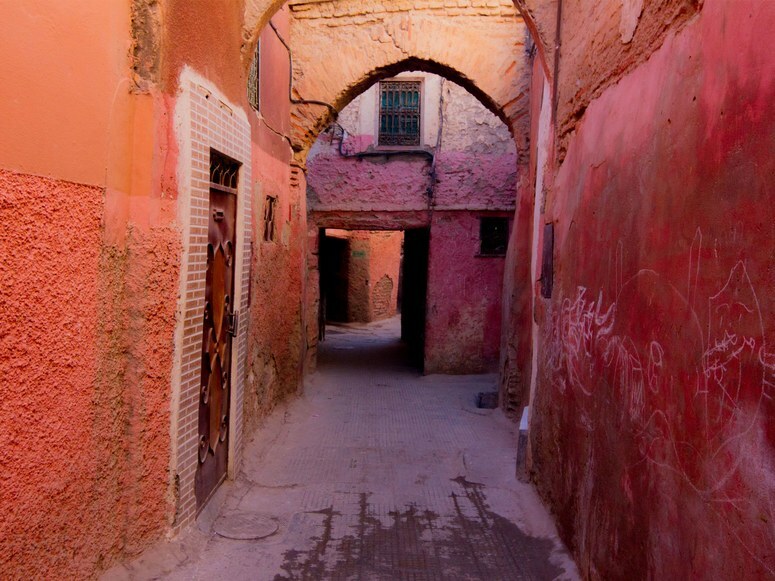 Rabah needed to verify that Lee was in Marrakech, when he arrived, and if possible, where he had arrived from. Footsteps from behind distracted Rabah. He didn’t notice the door to his right silently open until it was too late. He turned just in time to see the woman and the two muzzle flashes coming from the silencer attached to the handgun. He heard the shots and felt twin impacts in his chest. Surprisingly little pain. He looked down to see a growing stain of blood seeping through his dark t-shirt. As he collapsed, the last thing he saw was a beautiful Asian woman stepping into the light and the strange tattoo on her right forearm. Erwin Corley was most known for his novels Sargasso and Air Force One, both published in the late 1970s, the latter having no relation to the movie starring Harrison Ford. Ian was more skimming rather than reading The Jesus Factor. It was Krista’s copy, the one he’d taken from her flat. After having the local CSI lab go over it, they released it to him. It was just a book. He found it passably entertaining if highly improbable. The atomic bombings of Hiroshima and Nagasaki were an elaborate hoax. A nuclear device could only detonate when stationary, not while in motion. Decades later, the secret was in danger of being revealed amid political intrigue. In addition to sending a man to Marrakech to quietly inquire about Fredric Lee, MI6 asked for discrete CIA cooperation in visiting the author’s grave, just to see if the site itself held some sort of clue. Corley’s background turned up nothing particularly unusual, at least that would relate to Krista Bernham’s death. It had to have something to do with the book, or rather several of the books he’d found. After all, titles such as The Spy’s Son and The Woman Who Smashed Codes, both based on actual people and events, couldn’t be a coincidence. Krista was sending him a message, one that any other agent might have overlooked. What the hell was it? The SIS computer expert should have arrived from London by now, but whatever he or she was up to wouldn’t be revealed to Ian unless they could recover the three corrupted files in Krista’s database. He’d know if it were a dead end only when he heard nothing back at all. He was at the police department sitting in a chair next to the back wall while Winston was reviewing the latest videos taken at the airport, still looking for a Chinese man with an unusual tattoo. This assumed the fellow hadn’t been wearing a long sleeve shirt. “Phone for you, Sir.” It was an officer he hadn’t spoken to before. He listened some more. “I want a full report by the end of the day.” The other party spoke briefly. “I don’t care if it’s the end of your day or mine. I want it, every detail. Now get going.” He slammed the phone down loud enough to get everyone’s attention, including Winston’s who paused the tape’s playback. Dennis sat back down but didn’t open the book again. Rabah Hadad was young, just starting out. Had a lot of promise. Ian was glad he wouldn’t be the one to have to visit his parents and deliver the news. Damn. “Those reports you requested have arrived, Sir.” It was Pillay again, sounding less chipper than before now that Ian had engaged in a bit of a tantrum. He looked up. “Thank you, Sergeant. Appreciate it.” He took the folder. Kim Jong-nam, son of Kim Jong-il, born 10 May 1971, died 13 February 2017. Assassinated by two prostitutes, both currently on trial in Malaysia. One of the prostitutes, a Vietnamese woman, smeared his face with a lethal poison, VX nerve agent, while he was waiting at Kuala Lumpur International Airport traveling under a pseudonym. Her confederate was an Indonesian woman. The two claimed they thought they were playing a prank for a reality TV show. Supposedly four North Korean agents were involved. Two used the code names “Mr. Y” and “Grandpa,” but none of them were in custody. “VX nerve agent,” Ian muttered to himself. Fredric Lee was a chemical weapons dealer. Could he be the connection, how the North Koreans supplied the two prostitutes, Ian looked at the file again, Siti Aisyah and Doan Thi Huong with VX? By the afternoon, Ian had finished Corley’s novel and had scanned summaries of the other relevant books. Except for the titles, they didn’t appear to have any direct bearing on the case, that is, except for The Jesus Factor. The title told him nothing and he couldn’t figure out the relevancy of the novel’s topic. “Got this for you.” Winston was handing him a hard copy of the report he’d asked for, the preliminary results of the investigation into Rabah’s death. After Winston left, Dennis opened the folder. Just like he’d been told. Two rounds to the chest at close range. Found by a man, waiter making his way home after working late, nothing unusual from the autopsy, though they were still running tests. The slugs were .380 ACP. 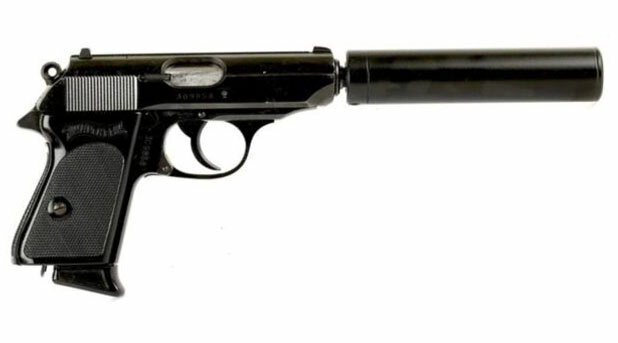 Weapon most likely a Walther PPK. No one heard the shots so a silencer was probably used. Wait. A what? Handgun most likely used was a Walther PPK. Just like in those 007 movies. She was sending him a message, but why? Why kill an MI6 agent and then advertise that you’re the assassin? If you’ve read the previous chapters to this story, you know it is an outgrowth of my flash fiction piece Mauritius Intrigue which introduced MI6 agent Ian Dennis, a man assigned to investigate the murder of a British Secret Intelligence Service top data analyst and who has discovered more than he bargained for. Now a second murder has been committed, this time of a young MI6 field agent. What message does Ian see in the method of this murder? You’ve just read the fifth chapter and there is plenty more action coming up. Let me know what you think.